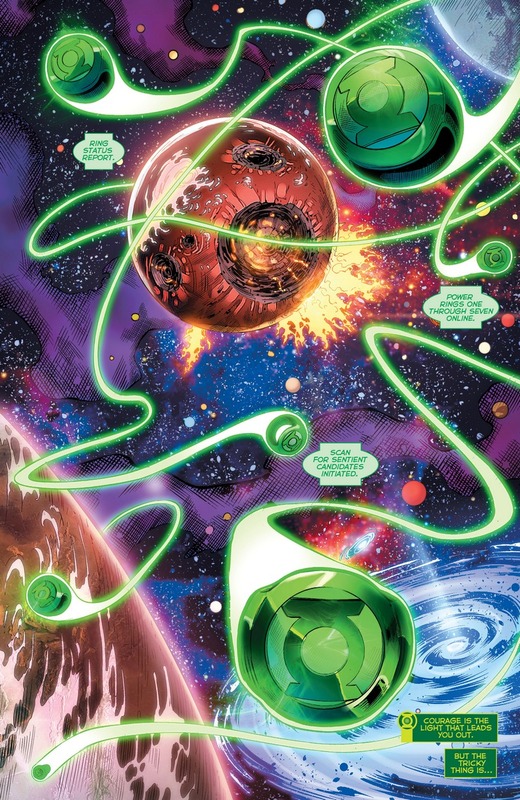 It looks like we’re getting a good retcon in the pages of Green Lanterns in terms of the GL rings. 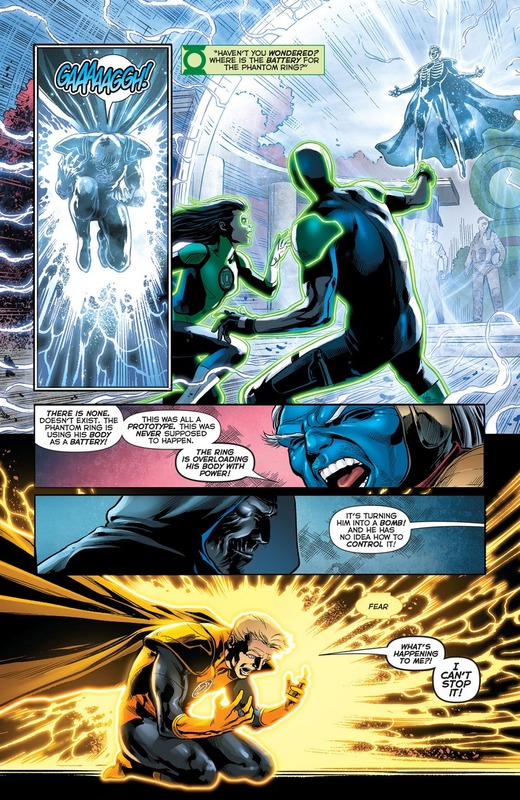 The current storyline “Phantom Lantern” reveals that there was a ‘prototype’ ring that was provisioned by the Guardians of the Universe around the time Volthoom went berserk with power. 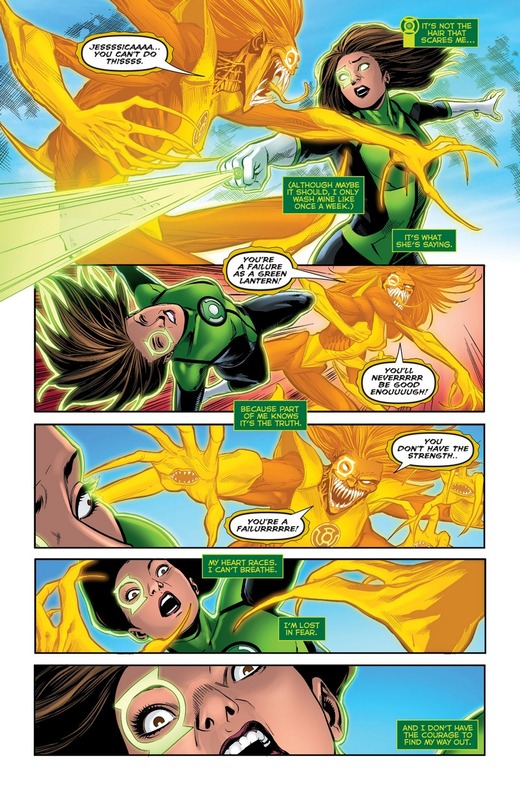 Folks Green Lanterns # 13 spoilers! Check out the variant cover for this issue which I think is really, really cool. 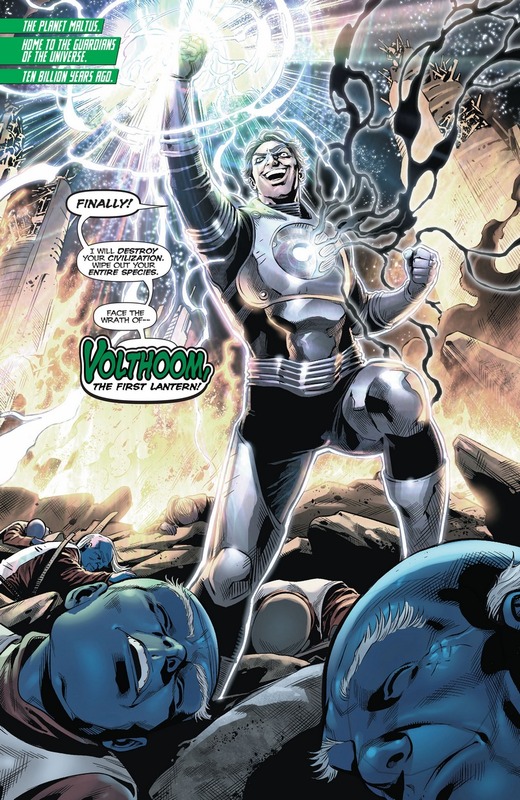 So as we mentioned earlier, Volthoom is back in another form causing more problems for the newbie Green Lanterns and the stars of this book Simon Baz and Jessica Cruz. 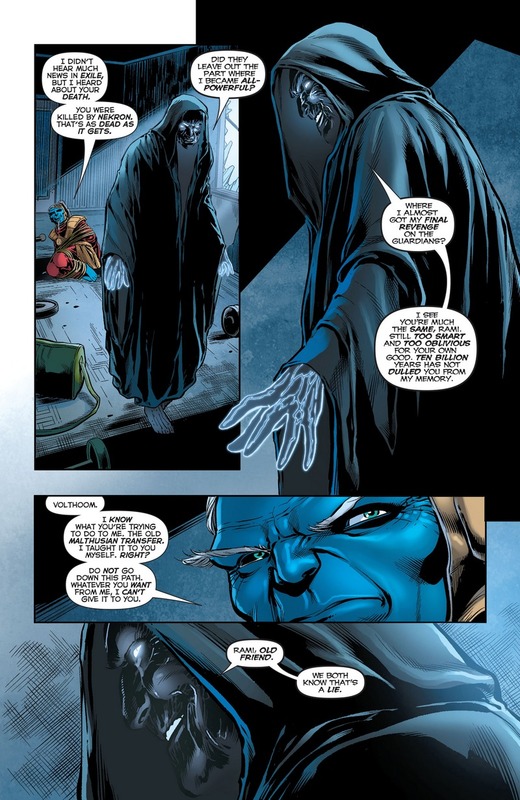 Last issue we get to see him have his “puppet” and wannabe Green Lantern wear the Phantom Ring AND kidnap the errant Guardian Rami. 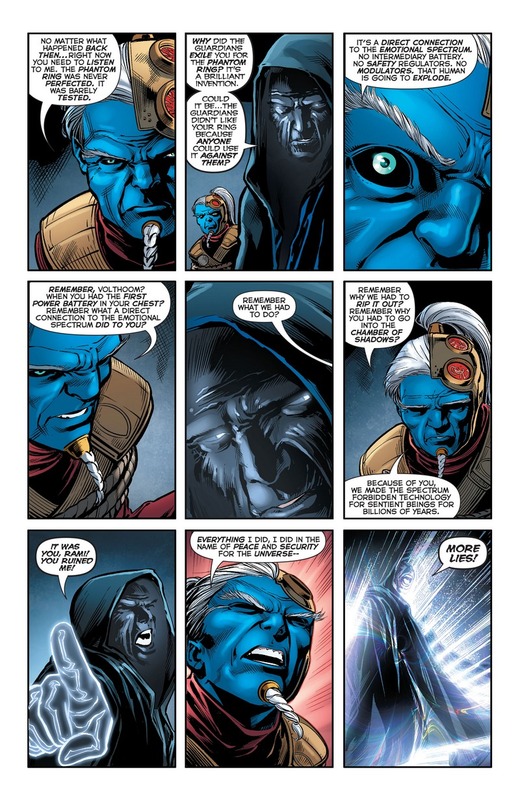 So back in the past with Volthoom getting stronger and stronger with the Phantom Ring, Ganthet and the rest of the guardians decide that they have to go with Rami’s inventions. 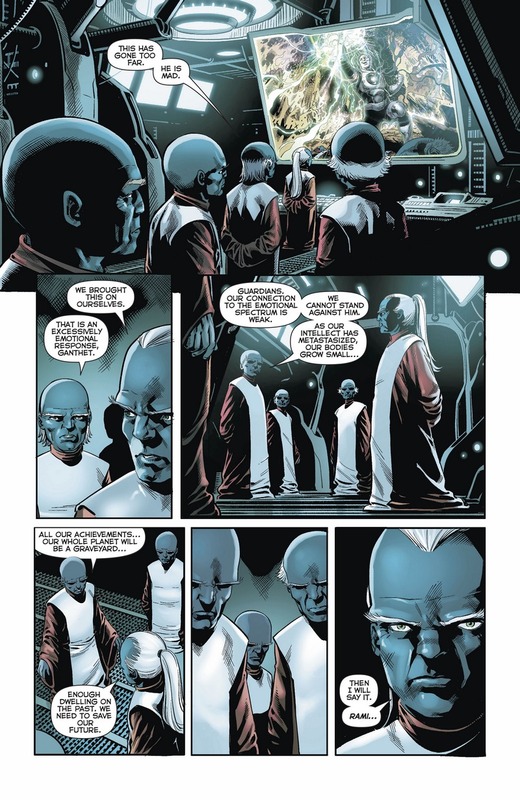 Finding the first Green Lanterns not only stopped Volthoom but also kickstarted the Green Lantern Corps. Back in the present, we catch up with Simon and Jessica who are confronted with their psychological weakness. In Jessica, its still fear. 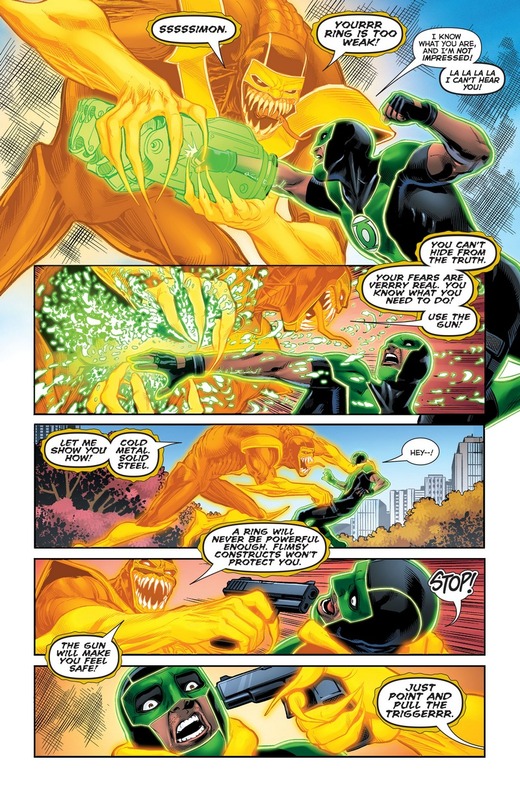 Simon Baz is confronted with his fear of failing and the reliance on that piece he’s carrying around. 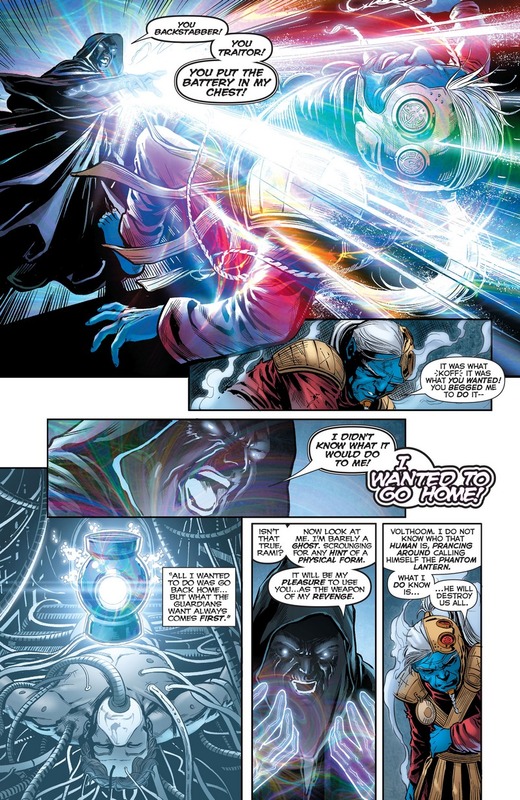 We also catch up with Rami and Volthoom who finally reveals himself to the rogue guardian. 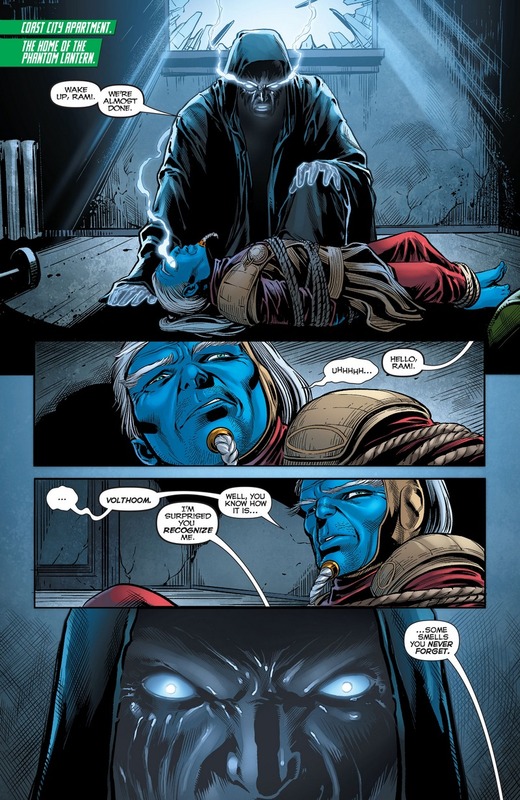 They talk about a ‘Malthusian transfer’ which could mean that Volthoom wants to possess Rami’s body for good. Which is a bad thing if it actually happens. 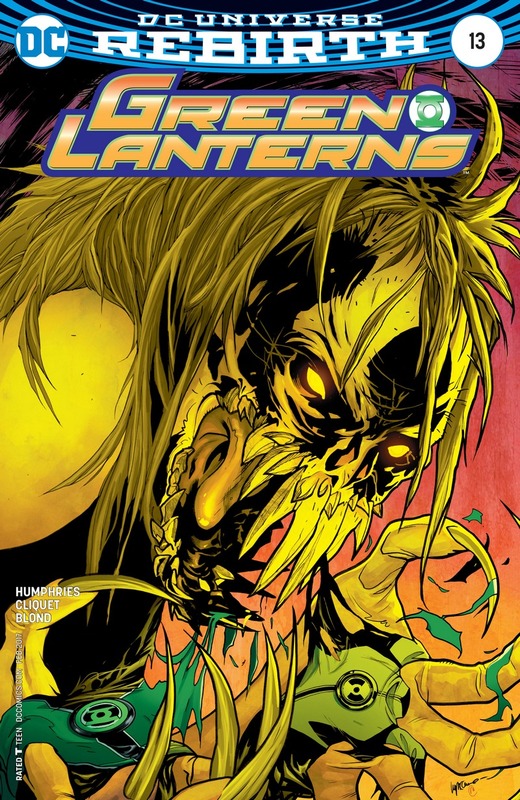 Readers are also made aware that the Phantom Lantern doesn’t have a central power battery unlike the Green Lanterns or any of the existing lantern corps in the DC Rebirth/ New 52 universe. Rami reveals that the Phantom Ring’s wearer will automatically become the power battery and its their lifeforce that’s being drained everytime the ring is used. 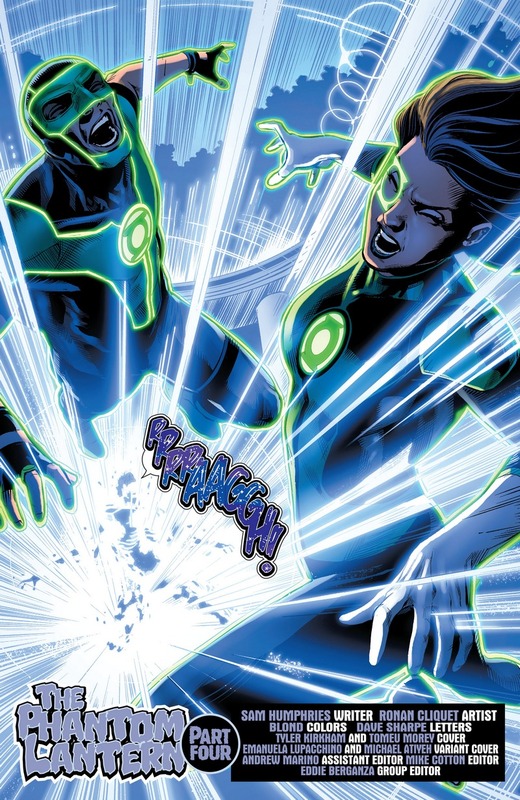 So Frank, the poor Green Lantern wannabe, goes boom at the end of the issue even though Simon and Jessica try to save him from his fate. 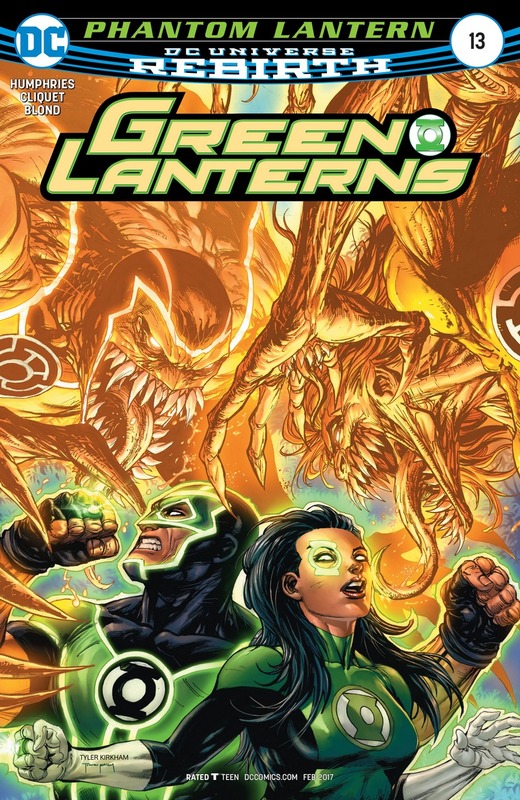 Green Lanterns # 13 is out now in stores and is written by Sam Humphries with art by Ronan Cliquet from DC Comics.